Donations are always welcomed, and our very much appreciated. 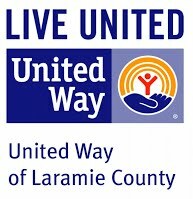 To make a donation to CASA of Laramie County, please stop by our office or mail us your donation. Please make sure to ask for a tax letter if needed. You can also use Amazon Smile (smile.amazon.com) when making a purchase on Amazon.com, and select CASA of Laramie County. We will receive a portion of your purchase to benefit our organization. If you like giving gift cards to friends and family members, please consider using SCRIPS. Through SCRIPS you can select an organization such as CASA, and we will receive a percentage from your gift card purchases. Please contact the CASA office for more information on SCRIPS. Gift Cards are also a welcome donation. We give gift cards to the children and family if a need arises, such as if the child needs new clothes or shoes, or school supplies. We also would happily accept donations of items that could be used in auctions for our "To Be a Kid Again" Red Shoe Event in early September. These items could be in the forms of gift baskets, artwork, tickets to games/events, or trips. Shoes for kids began in the Spring of 2017 after a kind donation from an advocate who wanted to donate towards giving shoes to children in need of new shoes. Being a former school administrator throughout the years he saw many children who did not have shoes that fit, or that kept their feet warm. CASA was happy to be part of this donation and talked with Shoe Carnival in Cheyenne in regards to providing shoe vouchers for these children. The next step was to talk to the elementary school social workers , and from Spring of 2017 until December 2017 we have provided 250 children with shoe vouchers. We continue to collect donations for this program; part of the proceeds from our Annual “To Be a Kid Again” Fundraiser went towards “Shoes for Kids” as well as a grant from Wyoming Community Foundation. On Giving Tuesday we raised $1,500.00 towards this program, thank you to Wenck and Associates for matching these donations. No amount is too small to go towards Shoes for Kids. I wanted to thank you for setting up the shoe vouchers with Shoe Carnival. This is one of the good parts of my job because I wish you could hear the phone calls I’ve made this far and the smiling and excitement on the other end. When I handed out some of the vouchers yesterday one of the girls said “I’ve never had this much money to spend on just shoes before” and her smile was HUGE!! Then she came in today and was SO excited to tell me she got three pairs and she’s never had that many shoes either. Thank you is not enough, but we greatly appreciate you setting this up!! Thank you to Western States Bank for their "Giving from the Heart" Donation for our "Shoes for Kids" program. Thank you to Wyoming Community Foundation for their kind donation to our "Shoes for Kids" project. Holly's Pillows is an initiative to give every child in foster care their very own pillow, blanket, and pillow case that they can take with them from place to place. Often times children are placed into foster care and are only able to bring a few of their belongings with. Because of this they must use whatever the foster family has to provide which could be a pillow that has already been used several times by other foster kids. Holly's Pillows is a way to give these kids something new that is theirs and only theirs.You can help by donating a set(s) of matching pillows, blankets, and pillow cases to CASA of Laramie County, and our advocates will bring them to the children. Please visit Holly's Pillows facebook page, or call the CASA office for more information. We have currently been able to provide more than 100 children with pillows and blankets. Thank you to everyone who has donated for this cause.